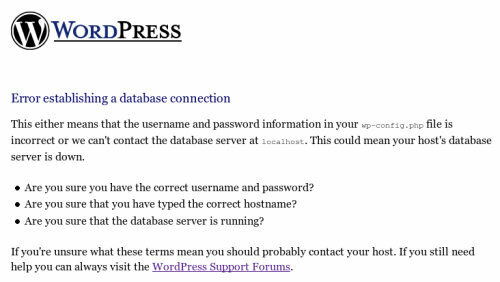 Other people, including both WordPress proponents and opponents, think WordPress lacks something by not allowing all of its users to handle heavy database stress. I’m not so sure. Flexibility is a large part of what makes WordPress such a great application to write code for. If you let plugins do just about anything imaginable on every page load, there’s a good chance that a small host’s database won’t be able to handle all of that in the face of a slashdotting. And that’s okay. The vast majority of WordPress users won’t ever be slashdotted, and so they don’t need the extra complication, potential server problems, and plugin incompatibilities that built-in caching would produce. If yours is the type of site that’s going to suffer under the Digg effect, then you can install one of the caching plugins to help you endure, or you can count on superior server resources. Everyone else will be just fine. Posted in Users | Tagged caching, database, Movable Type | Bookmark the permalink. Follow any comments here with the RSS feed for this post. Post a comment or leave a trackback: Trackback URL.